“Piece of Legislation” by Local 47 member Clifford J. Tasner, AFM Local 47 musicians, SAG-AFTRA singers, with animation by Cole Montminy. Learn more about SB 562 to bring healthcare to ALL Californians at healthyca.org. This entry was posted in All News, Features and tagged Healthy California on November 9, 2017 by admin. 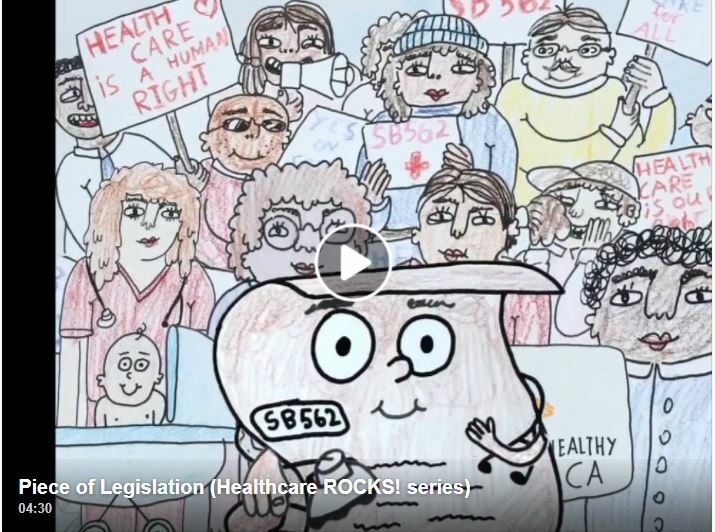 LOS ANGELES, CA (June 20, 2017) — Today Healthy California launched first in a series of “Schoolhouse Rock!”-inspired music videos created by a Los Angeles musician in support of the Healthy California SB 562, a bill that will create a single-payer system that guarantees healthcare for all Californians. This entry was posted in All News, Press Releases and tagged healthcare, healthcare for all, Healthy California, SB 562 on June 20, 2017 by admin. AFM Local 47 has endorsed SB 562, the Healthy California Act, will guarantee high-quality healthcare for all Californians. But first it has to pass a vote coming this week in the State Senate. Key senators who have not committed to voting for SB 562 – like Senator Hertzberg – need to hear from constituents ASAP. This entry was posted in All News, Events and tagged Campaign for a Healthy California, healthcare, healthcare for all, Healthy California, universal healthcare on May 26, 2017 by admin. California can guarantee healthcare in the face of healthcare attacks! Last week the GOP voted to take our healthcare into the dark ages. But here in California, we won’t accept the federal attempts to destroy our healthcare! 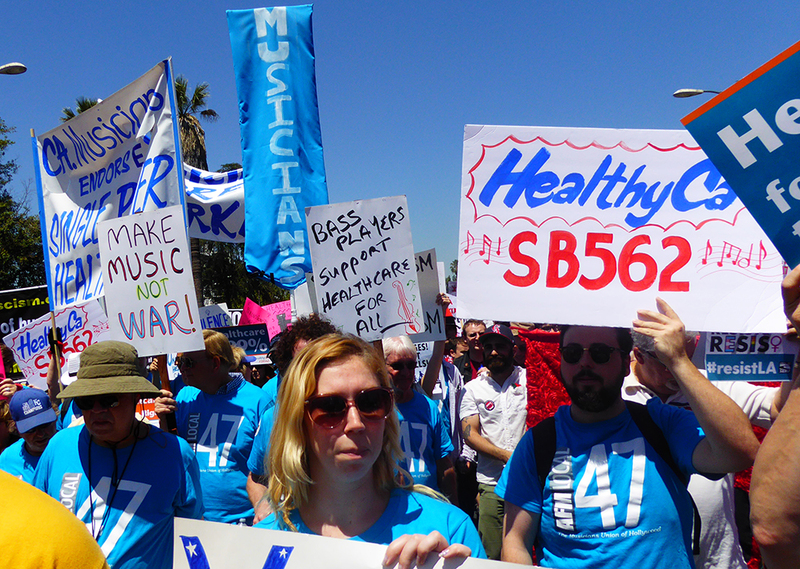 We will #resist and #persist and show the nation we can guarantee healthcare for all and save billions with SB 562 (Lara & Atkins)! Remember, in California Democrats having a supermajority and the power to fix healthcare in the Golden State – now it’s up to us to make sure our legislators are with us! This entry was posted in All News and tagged Campaign for a Healthy California, healthcare, Healthy California on May 8, 2017 by admin. We did it! SB 562 Passes First Committee Hearing! On April 25, 2017 the Senate Health Committee voted to support SB 562 and guarantee healthcare for all Californians. Musicians join in celebrating this as the first important step on our road to making guaranteed healthcare a reality in the Golden State. This entry was posted in All News and tagged Campaign for a Healthy California, healthcare, Healthy California, SB 562 on April 28, 2017 by admin.